You can find Wireless Multiroom certified products from various brands in different countries, with different designs, forms and functions. In these pages you can see some example products from our licensees, for different applications. At Wireless Multiroom we are dedicated to the continuous development of innovating technology. Our goal is to provide our customers with the latest and finest in Wireless Room Filling Wide Sound. We are a technology pioneer, developing acoustics, silicon, software and services for the consumer electronics market. 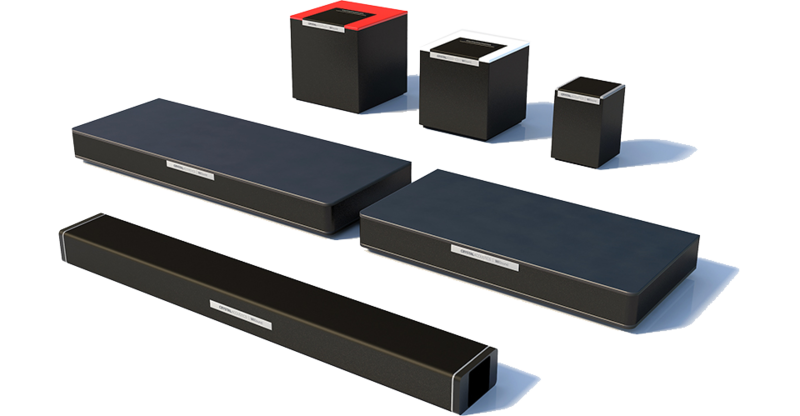 The portfolio consists of wireless Loudspeakers in a variety of shapes and uses, equipped with Bluetooth and Wi-Fi, as well as electronic modules for ODM/OEM.